Wash your hair with a natural shampoo. Homemade shampoos – tested recipes. Every day the boring commercials on TV are trying to prove that exactly that “miracle shampoo” will turn your thin and unruly hair into an incredibly beautiful and lush hair in just one week, which will act as a magnet to attract many glances filled with admiration. Is this true? After reading the composition of such a shampoo, you will reluctantly start to have a doubt. We are used to wash our hair with shampoo and rise with conditioner. Make a natural shampoo at home, and with that you will not affect your home budget, this makes no great obligation for women but the benefits of the homemade shampoo will surpass the ones from most of the shampoos which are bought in the store. They are easy to prepare and after washing your hair with a natural shampoo it will really become beautiful, healthy and shiny. It is extremely beneficial for the hair because it contains collagen, a connective tissue protein. Collagen is – a true “designer” of the hair, skin, muscle and blood vessel walls. Stir 1 egg yolk and 1 tablespoon of edible gelatin. Stir slowly, to avoid lumps and then apply to wet hair. Leave it for 5-10 minutes and then comb the hair in the shower with warm water. This composition contains a lot of proteins and the hair becomes beautiful and lush. You can also create a concentrated solution of gelatin: 1 tablespoon gelatin with 3 tablespoons water and add another yolk. For a strong, rich and shiny hair, add a bag of gelatin in a smaller bottle of your shampoo. Before each wash, shake well and use it as you usually do. When the hair is dry and “brittle” it is very useful to wash it with eggs because the egg contains lecithin and almost all of the amino acids, which protect the hair from damage and eliminate dandruff. A whole egg is typically used. Mix the yolk and white in a small amount of warm water. Put the foam of the egg on wet hair and wash it without soap. Then rinse your hair with warm water and after that wash it with water and vinegar (1 tablespoon of vinegar to 2 liters of water). In this case it is very useful to rinse your hair with herbal tea, which will give your hair an incredible shine. For hair with medium length and density 1 tablespoon of baking soda is sufficient. In the beginning, dissolve in hot water because it is easier and then add cold water. Quantity – total cup of 200 ml. All that you need to do is actually very easy. I always keep one package of baking soda in the bathroom and I need less than a minute to make this solution. Apply the solution of soda and water to wet hair and gently massage over the entire length. Rinse. The hair is rinsed perfectly. After that, do not forget to rinse your hair again with “acidic” water (2 liters of water, add a tablespoon of vinegar or lemon juice), because there is a need to maintain the skin on your head from the acidic surroundings. 4.In the second place – shampoo with mustard. This recipe is especially good for oily hair. Take 1-2 tablespoon of mustard powder (mustard, mustard powder) and dissolve in 1 liter of warm water. Apply to your hair and massage. If you feel a burning sensation – do not rush to rinse immediately. This effect causes a blood flow to your skin on the head and stimulates hair growth. After a few minutes, rinse your hair with plenty of water. “Mustard mask” allows you to solve the basic problem – oily hair will be less oily and dry hair will be intensively fed, besides that this mask contributes to an even greater density of the hair and eliminates its loss. By the way, oriental beauties thank the mustard mask for their lush hair. 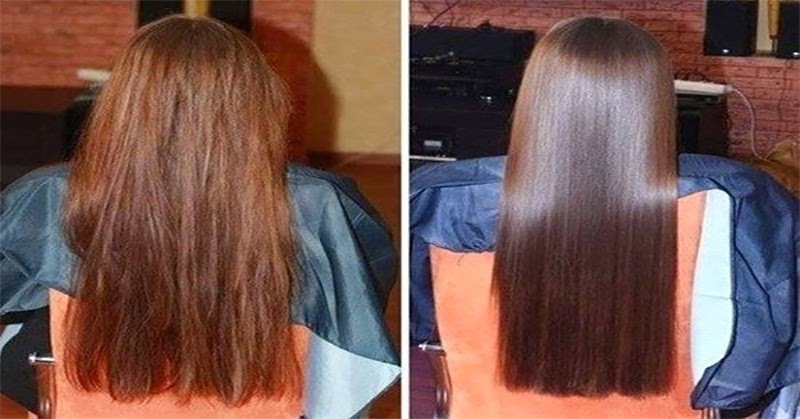 We highly recommend this extremely efficient homemade shampoo for faster hair growth. These were the simple and effective homemade shampoo recipes. There are other recipes – people are washing their hair with ashes, flour, beer yeast … But I’m not sure if you want to try it on yourself. I hope that I was able to show you that it is possible to wash your hair without a shampoo from industrial production, which is easily replaced with affordable and safe natural means. In this way, you will not only pay tribute to the power of your hair and protect it from the consequences of toxic substances, but you will also benefit your health. I will be glad if you share your experience after washing your hair in a natural way with other readers, because knowledge multiplies by sharing.